Dining table T-17 has an oval shape and several types of supports – to choose from. 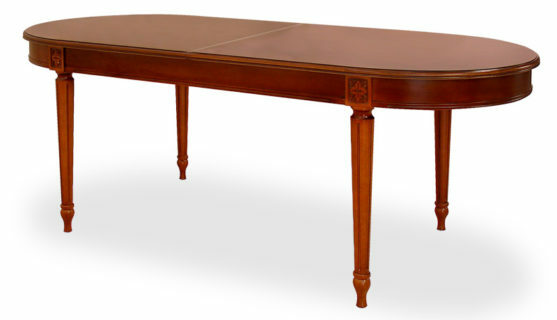 Depending on the type of supports and finishes, the appearance of the table and even the style significantly changes. It is possible to add a sliding part. The minimum length is 1200 mm. The cost and configuration of any size are calculated individually on request.